Three best friends met every Tuesday for twenty-six years. And then they stopped. From the author of the bestselling Sweeney Sisters Series comes a novel of friendship, family, and hope. Ashley Farley writes books about women for women. 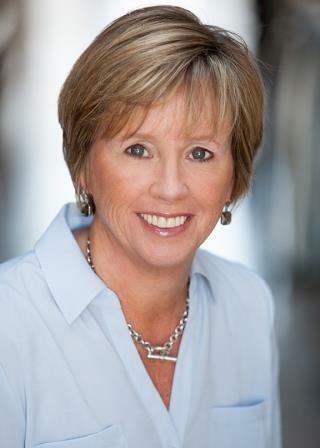 Her characters are mothers, daughters, sisters, and wives facing real-life issues. Her goal is to keep you turning the pages until the wee hours of the morning. If her story stays with you long after you’ve read the last word, then she’s done her job. Many people like their summer reading to be a little lighter than the books they focus on during the rest of the year, and I’m no exception. On the surface, Sweet Tea Tuesdays seems like a typical summer read – a bunch of woman who’ve been friends since forever, meet for a weekly gossip session on the porch. But to dismiss this novel, which is, at times, both heart-breaking and heart-warming, as just a summer read would be to deny it the credit it deserves, for in this novel, author Ashley Farley gives us a group of real women – Lula, Midge, and Georgia – who could be any of us who are older than the Redbook demographic, but don’t really feel our ages. This is a glimpse into three lives that seem as real, as vibrant, as those of any of the women I routinely talk to. I laughed at Lula putting paper towels under her breasts to sop up sweat when her air conditioner was broken, and I cringed at the way Midge’s new fiance treated her. I sympathized with Georgia, and at times wanted to hug or shake all three of these women. Author Farley does a great job handling southern dialogue, and sets her scenes well. Nothing is over-written, but the sense of place is strong. I could hear the mosquitoes buzzing and feel the humidity in her words. As well, Farley is incredibly skilled at capturing those moments of all-to-human humor that happen organically. The accidental turn of phrase, the times we make unintended slips – those are sprinkled throughout this novel, lightening some of the heavier moments, yes, but also giving the entire story a deeper reality. Goes well with iced sweet tea and peach pie. 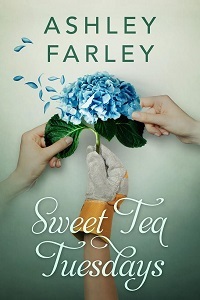 Review: Sweet Tea Tuesdays, by Ashley Farley by Melissa Bartell is licensed under a Creative Commons Attribution-NonCommercial-ShareAlike 4.0 International License. Oh my gosh Lula and the paper towels! YES! That’s the kind of thing real women do, that’s for sure.